Grow a New Body - Julie Krull, Ph.D.
You can start to grow a new body in as little as 7 days, a body free from disease and defying the ageing process. All you have to do is switch on the codes stored in your DNA that helped you grow from a single cell to a full adult. It’s a secret the shamans of the Americas have known and practiced for millennia, leading them to health spans equaling their life spans. 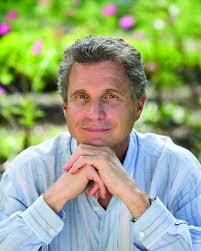 Tune in and learn from Alberto Villaldo about what’s called One Spirit Medicine. By his mid-20s Alberto Villoldo was the youngest clinical professor at San Francisco State University. He was directing the Biological Self-Regulation Laboratory, investigating how energy medicine could change the chemistry of the brain. One day in his laboratory, Alberto realized that his research had to get bigger instead of smaller, that he was looking out of the wrong end of the microscope. He needed to find a system larger than the neural networks of the brain. Many others were already studying the hardware – Alberto wanted to learn to program the mind to create psychosomatic health.